Francois Chau Interview – More Of Dr. Candle In Season 5!! 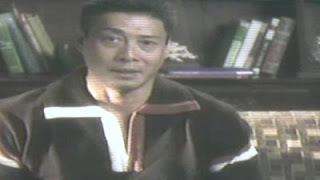 So ever since returning from Comic Con and watching the new leaked Dharma video I was thinking it would be cool if someone could interview Francois Chau, the actor who plays Dr. Pierre Chang aka Dr. Candle (Wickmund and Haliwax). Well guess what!? Our good friend Josh over at Lostspoilers.org scored an interview!! Not only did he get the interview he was able to get some potential spoilers for Season 5 of LOST. Chau confirmed that we are supposed to see more of Dr. Candle in Season 5 and that Orchid Video Locke watched was 1 of 3 videos. Chau also confirmed that he knew who the crying baby and voice behind the camera are, but could not reveal the info. Yes, maybe nothing major for some of you, but either way this is a great little interview and worth the read. LS: Let’s start with some of the basic questions: Do you watch Lost? FC: I did not watch it regularly in the beginning, but I do now. It’s hard to enjoy sometimes because I know what’s going to happen. When you auditioned, who exactly were you auditioning for? Dr. Marvin Candle? Dr. Mark Wickmund? Man from orientation film? I auditioned for the character of “Dr. Marvin Candle”. The other alias came later. I think the writers are just having some fun, but it’s “Lost” so I could be wrong. In the latest finale episode, Locke was watching the Orchid orientation video when it suddenly started rewinding. Was there any more of the video filmed, or were we shown everything? The Orchid video you saw was all that was filmed at the time, but it is supposed to be 1 of 3 orientation films for the Orchid Station, so you might see some more later. The producers have said that season 5 will focus more on the Dharma Initiative. Do you know when we might see your character again? Were you told anything in advance? I am told that we will see a little more of “Dr. Candle” in season 5. How much more, I don’t know. In the beginning of the video there is a baby crying off screen. Do you happen to know who this child is? Could it be your character’s son? Is it someone we already know? Some fans have been speculating that it could be Miles. Yes, I know who the “crying baby” is, but you will have to keep on speculating for a while longer because I can’t say just yet. Sorry. In the video, your character still has both of his arms, but it seems that he knows that he will lose one of them soon. Do you know how it happened? It could not have been in the purge, because he said he died in the purge, and we’ve seen him alive with a fake left arm. I was only following the directions in the script about the arm. I don’t know anymore. Can you tell us who this source is? Is it the voice behind the camera? The “credible” source of Pierre Chang’s informasi is from the voice behind the camera, but I can’t tell you who it is. Can you tell us how this video will play into the future of the show? Could this mean that we will see more of your character? As I said earlier, yes, I think we will see a little more of “Dr. Candle” in season 5. Pierre Chang – Dharma Video – Who Is The Cameraman?